The 8th Annual North Myrtle Beach Shop with a Cop Charity Golf Tournament isFriday, January 25 with an 11:00 a.m. start on the Dye Course at Barefoot Resort & Golf. Proceeds from the charity golf tournament go to the Shop with a Cop program, managed by the North Myrtle Beach Public Safety Department.Shop with a Cop is a Christmas program for children in need at the Ocean Drive Elementary School. Guidance Counselors at the school identify children in need who receive the benefits of the program. The children enjoy lunch and receive a $150 Walmart gift card with which to buy presents and essentials, such as winter coats. North Myrtle Beach police officers and volunteers help guide the children as they make their purchases. The goal of the charity golf tournament is to raise enough money to provide an unforgettable Christmas for children in need in the community. This is a four-person, captain’s choice golf tournament with an 11:00 a.m. start. Tournament fees are $65 per person or $260 per team. Players may register individually or as a team. Please make checks payable to “City of North Myrtle Beach” and return registration forms to the J. Bryan Floyd Community Center, 1030 Possum Trot Road, North Myrtle Beach, SC 29582. 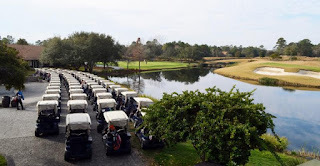 The tournament fee includes green fees, cart, range balls, non-alcoholic beverages, continental breakfast, lunch, a $10,000 hole-on-one contest, three additional hole-in-one contests valued at $500 each, and more.